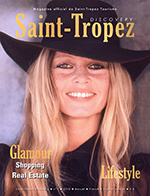 Discovery is THE Saint-Tropez Tourist Office magazine. 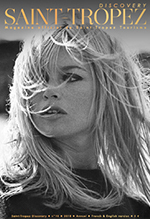 News, features, shopping, Hotels, Art, interviews, unpublished photos? 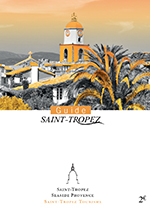 Discovery, as its name points out, is a way to (re) discover Saint-Tropez. 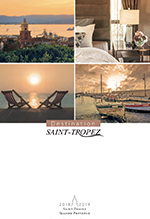 Whether you are looking for a ***** hotel, a holiday center or a B&B, the Destination brochure is made for you! 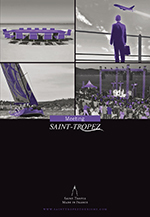 You can also discover a short history of Saint-Tropez, what to do there and all available transport means. Living ? 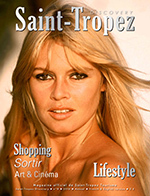 It's a concentrate of all the tips of Saint-Tropez. 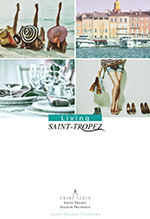 Restaurants,beaches, shopping, entertainment... One thing is certain : Saint-Tropez is fabulous ! 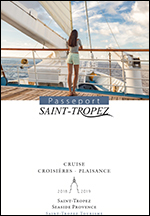 Cruise passport The Tourist Office has compiled for you the useful addresses for your stopover in Saint-Tropez. Are you lost ? You have a meeting on Quai Jean Jaurès and you have no idea where this is ? How about consulting the map ? 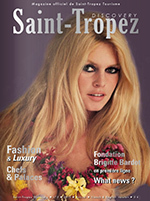 Saint-Tropez is overflowing with quality produce. 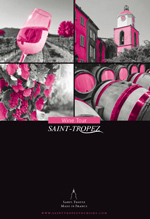 Our Vineyards open their cellars and our new brochure Wine Tour invites you to discover the riches of the terroir, the specific characteristics of the peninsula and wines made with expertise and passion ! 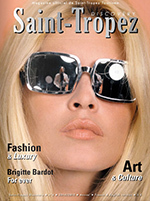 The Tourist Office has compiled for you the useful Spa and Wellness addresses for you to discover in Saint-Tropez. Become a partner of the Tourist office. Manage and promote your establishment by using our Extranet platform. 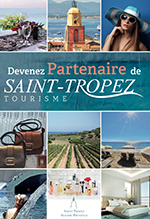 Discover all the advantage of becoming a partner of Saint-Tropez Tourisme ! 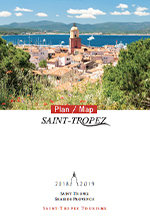 The Tourist Office has compiled for you the useful addresses for your stopover in Saint-Tropez. 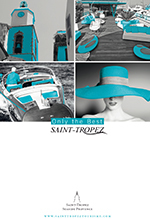 Saint-Tropez is one of the most attractive destinations of the planet The team of Saint-Tropez Tourisme Convention Bureauand this new brochure will help you to plan your event with succes.